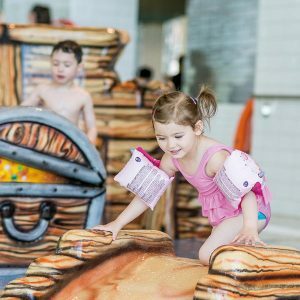 Splashpoint Leisure Centre contains a 25 metre 6 lane pool, a teaching/diving pool, a leisure pool with pirate ship and slide. Please note there is a 10p non refundable charge for the lockers in the changing rooms. Children Aged 3 years and under must be accompanied on a 1 adult : 1 child basis. This is regardless of whether the child is wearing a buoyancy aid. 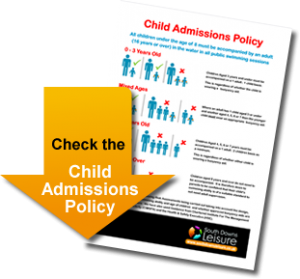 Children Aged 4, 5, 6 or 7 years must be accompanied on a 1 adult:2 children basis as a minimum. This is regardless of whether either child is wearing a buoyancy aid. Children aged 8 years and over do not need to be accompanied. 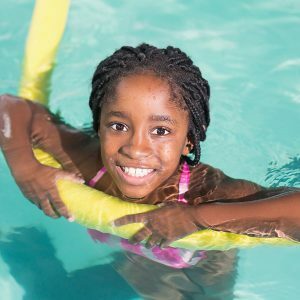 It is therefore down to parents to be confident that their child’s swimming ability is of a suitable standard to not need adult supervision. 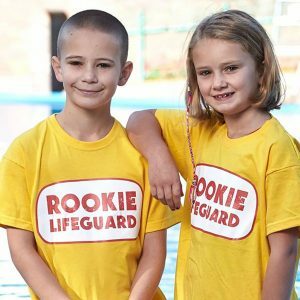 Where an adult has 1 child aged 3 or under and another aged 4, 5, 6 or 7 then the younger child must wear an appropriate buoyancy aid. 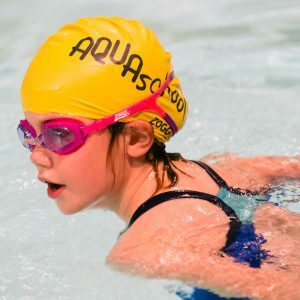 This policy has been written following Risk Assessments being carried out taking into account the design, layout and type of pool; the swimming ability and age of children and whether approved buoyancy aids are being worn by non-swimmers. 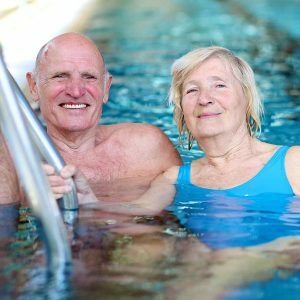 We have also used Guidance from Chartered Institute For The Management of Sport And Physical Activity (CIMSPA) and the Health & Safety Executive (HSE). What type of swim session would you like to try?